What’s your Facebook “Friend” Number ? I have found a new topic of conversation for Small Talk occasions. This is something I look for constantly because I have never found Small Talk to come naturally to me. Deep Intense Enormous Talk I find relatively easy to jump into. But this is clearly not always appropriate for dinner parties, drinks parties or industry events. My top three Small Talk topics up to now have been children, IT problems and if desperate, holidays (I can do football small talk but only at a very topline level – certainly no other sports). Now I have a new one. How many “friends” do you have on Facebook? Is there an etiquette around this? Certainly there is a sense of intimacy about asking the question. Clearly it is not as intimate as asking about the number of sexual partners or what you get paid but it is noticeable that people are unsure whether to show off around the size of their answer or to apologise for its lack of scale. Fear not though, however small the size of your “friend” list you will dwarf mine (just 28). Unless of course the smaller the better – who knows ? A quick review of my 28 “friends” reveals a surprising range of “friend” numbers between them. The largest number is that of a Facebook pro who you’d expect to have a big number (over 850). The smallest number of “friends” on my list can be claimed by a university chum who has even less friends than me (only 21). My Facebook friends range from a distant relation (with whom I can only claim to have exchanged 3 words ever in real life), to professional colleagues, to my best friend when I was 19 who now lives in the far North. As the wonderful Fiona Dent at IPC pointed out my list is a bit like an awkward wedding where you’re not really sure if all the different groups there will get on, or if they will approve of what you say and what you’ve been up to. The size of the number is relative to lifestage and intent of course, and if you’re an inner or outer directed person. And how friendly you are. Teenagers of my acquaintance easily boast between 350 and 1000 “friends”. This may be driven by neurology and the fact that they’ve adapted more quickly than some of the rest of us. October’s issue of National Geographic (http://www.nationalgeographic.com/) explains that some brain-scan studies suggest that our brains react to peer exclusion “much as they respond to threats to physical health or food supply. At a neural level, in other words, we perceive social rejection as a threat to existence”. This may mean that acquiring as big a “friend” number as you can is key to survival. I’d better start looking for more “friends”. If Morgan Spurlock called you would you call him back? 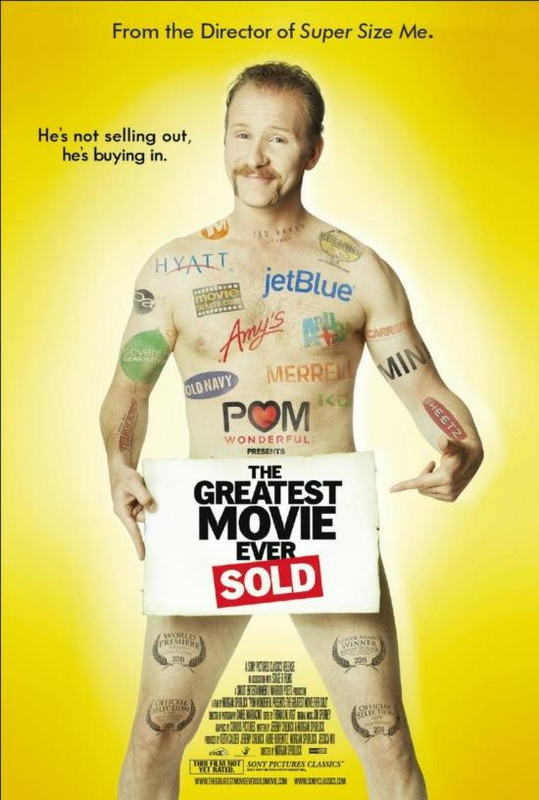 The layers between marketing and the customer are stripped back this week with the release of Morgan Spurlock’s new film The Greatest Movie Ever Sold. Brand Republic interviewed him here earlier this month (http://www.mediaweek.co.uk/news/1096732/Video-Morgan-Spurlock-turned-camera-adland-BR-asks-liked-saw/?DCMP=ILC-SEARCH). Spurlock’s intention is to lay bare the relationship between brands and content. He says in the interview that he first tried to get in touch with ad agencies and product placement companies but that they wouldn’t co-operate with him. He then started cold calling brands and eventually out of over 600 approaches 15 agreed to be involved with the film. I think those brand decision makers are brave people. We all know what we can expect from Spurlock (maker of Supersize Me). The warm spotlight of attention is an enticing idea for all media attention seekers (and lets face it which of us is not one of those – isn’t that one reason we’re in this business in the first place what with awards, lunches and constant pitches ?) However the editing of the filming will always be out of your control and your portrayal is dependent on the whim of the film maker. I know some people who were featured in a TV documentary about St Lukes. They rarely speak of it or if they do they change the subject fast. Spurlock’s camera is bound to be even colder than that one was. Spurlock is a controversial figure. One of the things he says in his interview with Rich Sutcliffe really resonates though. He comments that marketers need to develop a “transparent relationship with people who buy the product”. I completely agree. With Spurlock and others like him leading the way, there is literally no limit to what will be known or found out about a brand. Most of us turn to a search engine for information and the search engines are great at delivering transparency, and very bad at covering things up. Honesty is our best marketing tool by far. In the spirit of total transparency I should disclose that I’ve written a book on the subject with Jonathan Salem Baskin which covers this in much more detail. My book Tell The Truth is available for pre-order at amazon.co.uk, Barnes and Noble and all good booksellers. A client of mine asked to go to L’Escargot last month for lunch. It was a very popular media haunt at one point, although I didn’t spot anyone I knew there on this recent occasion. At the height of its popularity I never actually went because I was so fond of my personal L’Escargot joke. Basically a lunch date would suggest going there, I would say (hilariously) that I had heard that the service was quite slow (geddit?) They never did get it, they’d assume that the service really was slow and we’d end up going somewhere else. The service by the way was excellent the other week. 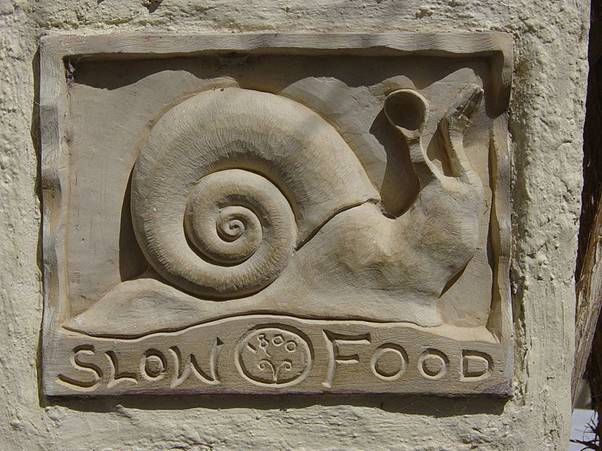 The Slow Food movement was founded in the 1980s with the intention of ensuring that fast food and global chains didn’t have it all their own way. You don’t hear as much about it these days, perhaps because it succeeded in ensuring that we all value taste and the time dedicated to a well executed slow cooked recipe as well as enjoying fast food sometimes too. Every trend arguably needs a counter trend to test it. Fast strategy is becoming the norm in media agencies. Current communications thinking is about more data, analysed faster and more frequently course corrected with real time planning methods – with weekly, daily or even hourly tactical amendments. Maybe in addition to appreciating the benefits of this we also need to consider slowing things down too. 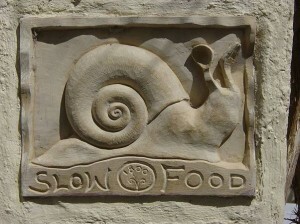 Jonathan Salem Baskin (the co-author of my soon to be published first book) has blogged about slowing things down from a marketing perspective at http://adage.com/article/cmo-strategy/cmos-busy-listen-consumers/230193/ . Slow media is about taking time to come up with a really good idea that’s exactly right for the brand and sticking to it despite the vicissitudes of the new data onslaught. There must be a balance between reacting to new information and sticking to what you first developed. Reacting to new information has its place, but so does sticking with what you believe in order to allow the situation you’re in to mature. Sometimes a media strategy should change with the data wind. Sometimes it’s worth persisting with what you set out to do because it will take time to capture the imagination of the target audience. Fast strategy has its place. But let’s not throw the baby out with the bath water. The slow media movement starts here.